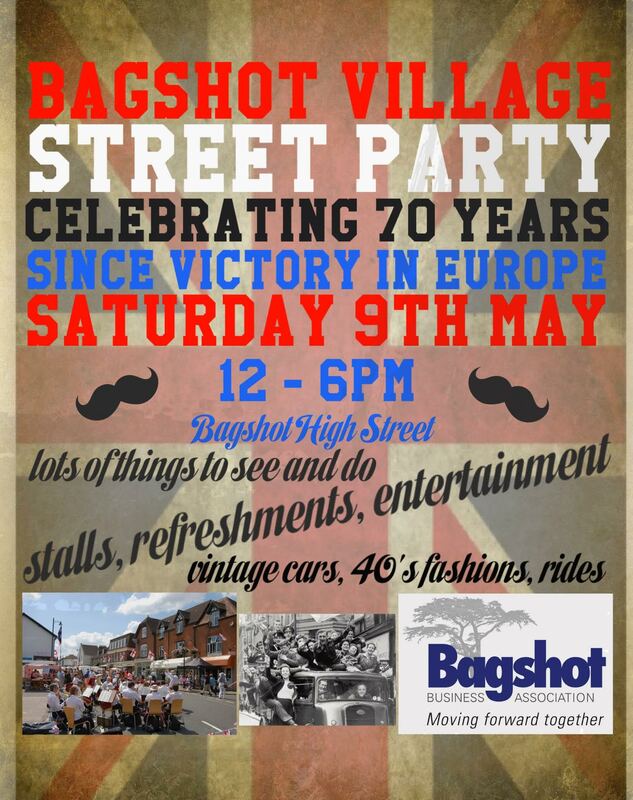 Get the date in your diary for the Bagshot Village Street Party celebrating 70 years since victory in Europe. Sat 9th May 2015, 12-6pm. Lots to see and do – vintage cars, 1940’s fashion, rides, entertainment, stalls.